Yesterday on Twitter I received the following Tweet …. @thesecondgoing Mass Civil Disobedience ! As a lawyer, I have been criticised by many, in particular fellow lawyers, regarding the stance I’ve taken with regard to the Right2Water Campaign. 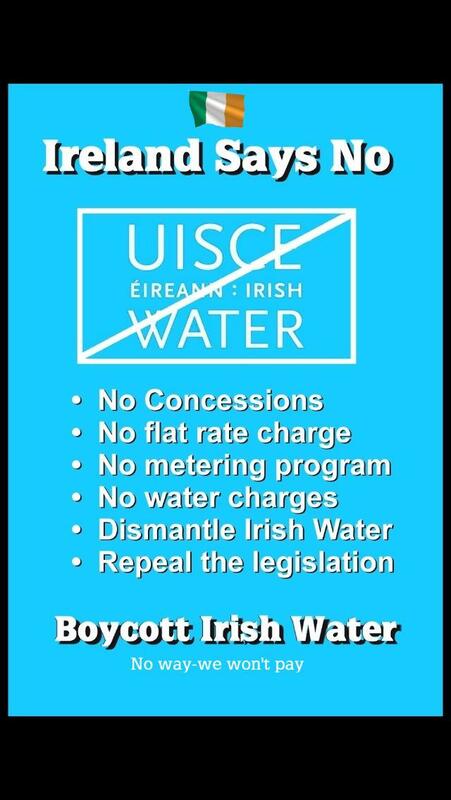 This is a Citizen led Movement which has arisen as a result of the Irish Governments attempt to privatize our water, regardless of how hollow the rejection of this claim is, by the Elites who run this country. I have taken to the streets and marched Shoulder to Shoulder with my fellow Citizens and am proud to do so. While many people cannot afford to pay the proposed charges being imposed on us, a lot can. Luckily I am one of those that can. There is a principle at stake here. Austerity measures dictated by the IMF, the European Central Bank and others and imposed on the Irish People in order to pay the gambling debts of the Elites, their Bankers and Speculators are, in my opinion, immoral. Can’t Pay, Won’t Pay are what the banners say. They could read Can Pay, Won’t Pay and they would be as correct. People have said ‘Enough is enough’. The question is, am I correct in advocating a Don’t Pay policy? 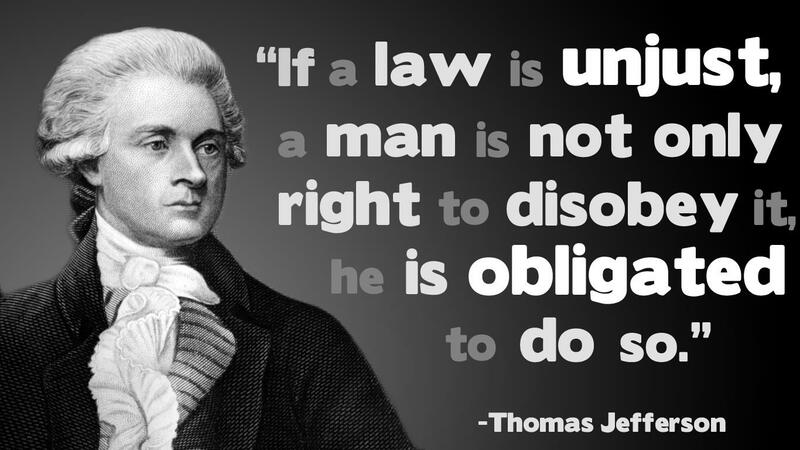 I am inclined to agree with Thomas Jefferson, the principal author of the American Declaration of Independence (1776). Justice, surely has to play a role in our thinking. As lawyers we are trained to use the law to benefit our fellow citizens. When the law is unjust, we try to use the legal system to protect our clients. Our Courts on a regular basis try to mitigate the harshness of the law and find an interpretation which protects the citizen. What about when one political ideology in power attempts to subjugate the citizens to their point of view? We are told that we live in a democracy and the will of the people is demonstrated by the Ballot Box. In 2011 the Irish People Voted for Change. They ousted the Fianna Fail Government and replaced them with the two parties that advocated change, namely Fine Gael and The Irish Labour Party. While in opposition and prior to the General Election, both of these Parties talked the talk but as it turned out, they did not walk the walk and indeed the Irish People were subjected to the same policies that the previous hated Government had implemented. Sadly, even more austerity was heaped on the citizen. The most vulnerable in society, the young, the old, sick and the poor were particularly targeted by the ruthless implementation of austerity. People suffered as a result and indeed are still suffering to this very day. The new government claim that they were given a mandate by the people and are refusing to relinquish power. They say they intend to stay the full course. Is this democracy in action? Democracy… government by the people; a form of government in which the supreme power is vested in the people and exercised directly by them or by their elected agents under a free electoral system. So in theory that is what we have. While we’re deemed a Democratic State why are people in Ireland today so discontent? Something is wrong. They are not being listen to. Despite marching on the streets to demonstrate their opposition they are being fobbed off with our Government playing politics. Those in power are, in my opinion, not following an agenda on behalf of the citizens who voted them in. Instead they are following the dictates of the EU and other like-minded institutions whose agenda is somewhat different. Perhaps something is fundamentally wrong …. While I have quoted from a Justice of the American Supreme Court, I feel that the same is equally relevant in the Irish context. The Irish Government panders to the will of those with great wealth to the detriment of the citizen, thus sadly creating a sub-class in our society, to which the vast majority now belong. 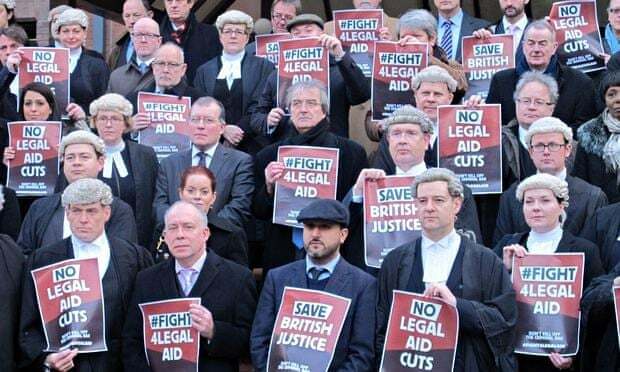 It’s to be noted that lawyers have headed protest against injustice in many countries throughout the world. They have led the people. In Ireland today, it appears that we only hit the headlines when huge fees are concerned. This is unfair. I recognise those firms who act for the Elites but the vast majority of the legal profession are of the people and stand up for their rights. Individually, lawyers do have a moral conscience. Unfortunately that is not reflected in the media nor indeed, in my opinion, in the representative bodies who I feel should be questioning the legality of bailing out bondholders and banks and suchlike. True leadership should be shown. It has been left to #Ballyhea and other protest groups to continue the fight against Government Austerity policies which go to bail out the rich at the expense of the poor. In the past the Trade Union Movement lead the citizen in protesting injustice. Sadly today the major Union #SIPTU are so closely associated with the Labour Party that their silence is deafening. 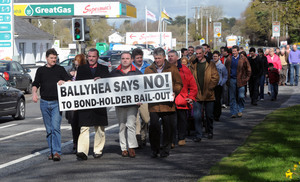 Without the likes of Ballyhea, this whole sorry chapter in Irish society would not have a voice of protest. So, as a lawyer am I advocating breaking the law by supporting a No Pay to Water Charges? Well, you’ll have to be the judge of that. I will continue to support my fellow citizens in their fight against an unjust law. I am proud to be associated with such good people. Finally, I think it worthwhile watching Matt Damon, a lifelong friend of Howard Zinn and his family, read excerpts from a speech Howard Zinn gave in 1970 as part of a debate on civil disobedience. LegalEagleStar , Tuesday , 6th. January , 2015. During the week I Retweeted the following from KSat News in San Antonio, Texas…. If we go to the List we see Warren Buffett, the 82-year-old CEO of Berkshire Hathaway is worth an estimated $53.5 billion. Bill Gates, chairman and co-founder of Microsoft Corp., is also co-chairman of the Bill & Melinda Gates Foundation. His net worth is more than $67 billion. I ask the hypothetical question whether any of these made money on the back of the Irish Citizen? The answer is that I don’t know and our Government is making sure that I cannot find the answer as they refuse to disclose the identity of the Bondholders of Anglo Irish Bank and other Bank Bondholders who have been handed money by our Tax Payers. Our Government has, and is paying back every cent due to these same anonymous bondholders. The Citizen on the other hand, those that invested their redundancy or inheritances, if they were lucky enough to have the money in the first place, have taken huge loses in whatever Funds they were advised to invest in. No bailout for the Citizen, only those who claim Elite status. The Citizen in Ireland now faces a life devoid of hope. They face the serious prospect of their homes being repossessed by these same Banks and Financial Institutions who they have in fact bailed out. My point is that Billionaires small change would rescue Ireland. But our Government prefers to be the Good Boy in the Euro Class and instead bleed their citizens dry. I’m sure that Billionaires have reaped the rewards from their Bonds, many of which were purchased, I’m told, at a great markdown. I’m sure they were laughing at the incompetent Irish all the way to their banks. We’re told we are in a recession. I’m not an economist but have listened carefully to our Economists over the past number of years. Their diverse opinions are at times illuminating but it seems most just base their opinions and comments on what is in the media at any given time. Some, who I believe should know better give us little hope and just side with Government strategy in advising more austerity and pain for Citizens who already have been cut to the bone. It seems they reside in a parallel universe where people count for little or nothing and all that is important is the survival of the multinational conglomerates and their bankers. Tune in to Vincent Browne’s Show Monday to Thursday at 11pm on TV3 and listen to their endless diatribe. To be fair to Vincent he does tend to show them up for what they are and in an entertaining fashion. 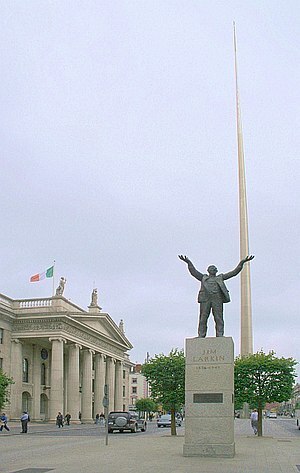 Historically, Irish People have trusted their politicians and for that matter, their local friendly bank manager. If advised to purchase a home they will follow the advice, take whatever mortgage is offered and complete the purchase. They are fed media hype concerning what they should buy and most if not all media handed out advise on a weekly basis with glossy inserts in the daily papers. People are trusting and believe what they are told. Naive many would say, but I for one have seen what motivates people. As a solicitor in practise for over thirty years, I see the ‘little guy’ spending his/her hard-earned cash in ways that they are ‘urged’ to do by their ‘leaders’, whether politicians, bank managers, investment brokers, Thursday’s Irish Independent Property Supplement, Friday’s Irish Times Property Supplement or indeed the Sunday Papers with their advice regarding the queues outside housing developments to get a bargain. People cannot be expected to discriminate against such pressure from those they have come to trust. Their Friday Irish Times has in fact become the ‘Bible’ for such people. Can we honestly blame people for being taken in by such propaganda? The media, our politicians etc. were forcing an agenda. Those behind the newspapers, advisers and yes sadly, our politicians were making a fortune for themselves, I believe, on the back of the citizen. The money our people spent ended up in already rich coffers. Now politicians change their mind and continue our previous Government’s austerity measures. People threw out Fianna Fail as they believed them corrupt and voted for change. Now they feel betrayed by those they trusted, again naively some might say, who now claim their hands are tied by previous the Government. So while politicians change their minds and continue to trade cheap shots with one another, the Citizen is driven to bankruptcy, lose their family homes and family silver and are told its their own fault. ‘We partied during the Celtic Tiger’ we have been told. No we didn’t. Yes, most did their part as they were told and spent money on property, if the funds were handed to them. To say people partied is an insult. The Citizen is now driven to despair and sadly many lives have been lost due primarily to the helpless situation they find themselves in. Families have been broken up, many, too many suicides have occurred and yet the Government ignores their pleas for help. Yesterday we saw our leaders Enda Kenny, Fine Gael and Eamonn Gilmore, Labour Party ‘glorify’ in the success of the first two years of their Government. They told us that we are doing well. The reality is somewhat different on the streets where the level of poverty has arisen to greater heights than ever before in my lifetime. This without the upcoming property tax, water metering and whatever other schemes they dream up to fleece the citizen. Remember all those that bought their homes paid an enormous amount of Stamp Duty and to ask them to now pay Property Tax is an absolute travesty of justice. Those ‘economists’ who favour this charge citing other countries property taxes, simply ignore this injustice. Shame on them ! There seems a major disconnect from what politicians are saying and what the reality is. While citizens are awakening in a new era of poverty and austerity, corporations, who are not even pursued for the meagre corporation tax, continue to prosper. Who are the Government working for? The citizen or the multinationals who continue to prosper? Video: Pat Rabbitte admits to breaking election promises http://www.joe.ie/news-politics/current-affairs/video-pat-rabbitte-admits-to-breaking-election-promises-0031538-1 … via @JOEdotie …And We continue to believe them.. When I was in College we were taught about Capitalism, that you were ‘Never too big to fail’ What utter nonsense. Whosoever controls the capital calls the tune. Billionaires who continue to prosper, their bankers and suchlike, many under the guise of Anglo Irish bank Bondholders control this new United States of Europe. I wonder as to where the old Nazis are now because Hitler has indeed realised his ultimate goal of a United States of Europe under German control and with an ‘Elite’ firmly in charge of our destiny. Whatever will the German people think when they discover what is really happening to the Irish Citizen? LegalEagleStar , Thursday , 7th. March , 2013. In a democracy, such as ours, we elect politicians for a term of years to look after the Rights of Citizens and to, as it were, ‘run’ the country in their best interests. That is the theory. The practice has been somewhat different, unfortunately. For years Fianna Fail were the champions of business and in particular, the construction industry. Over time, mainly due to corrupt practices, in my opinion, the interests of the citizen became somewhat overlooked. Fianna Fail became too close to the Bankers and the European Elites and began to strive to promote themselves to be rubbing shoulders with these people who were to become their Masters. There were meetings, before meetings, if you get my drift and the power shifted to unelected Bankers and Businessmen whose sole concern was profit. The control of the Country was in effect handed over to these people with no regard whatsoever to the interests of the Irish Citizens. We became a land of would-be elites and the policies pursued by Government lost sight of what really mattered. The interests of the citizen took second place and so upon the advice of the Bankers and their fellow travellers decisions were made on another agenda altogether. Dishonestly so, in my opinion. Fianna Fail were not alone in pursuing their agenda. Both Fine Gael and Labour played their part in this deception. So in effect, all parties in the Dail, who each made their policies clear come election time, had no intention of carrying out their promises once elected. When a Fine Gael/Labour coalition took power, the emphasis shifted in a small way to their own people who took over jobs previously held by Fianna Fail. The construction industry, while primarily Fianna Fail people, lost out to some degree. Fine Gael looked after their more rural supporters in the alternative. That is the way Ireland has been ruled for decades. So, come the proposal to join in with Europe and the European Economic Community, all of the parties enthusiastically joined forces and urged the Irish Citizen to Vote Yes as it would be good for jobs, among other often repeated slogans. Ireland entered on its European journey and while some disagree, we have certainly developed as a nation to a degree of prosperity as a result. This is probably a good thing as when I was young, the abject poverty of some was shocking. A walk around Dublin’s inner city was an eye-opener. Today a walk around Dublin is a somewhat different experience. The horrible slums have been replaced by modern buildings which by and large, have improved the living conditions of the citizens. So our journey into Europe, encouraged by almost all of the political parties has not been such a bad experience. Yes, but at what cost? We joined an economic community based on open border trade. The citizen worked hard to bring about this change but as time has gone on, those that prospered were primarily the multinationals and the banks. Peoples lives were becoming controlled, not by themselves but by institutions whose agenda was solely based on profit. The trade unions, once a powerful force in looking after the rights and working conditions of their members, began to take up seats on the boards of companies. There was an age of new industrial relations. No longer had you the James Larkin types running the unions. They were a training ground for future politicians who slowly but surely positioned themselves into positions of power. From an e economic union we have been steamrolled into the European Community. Sovereignty, while once a powerful emotive term is now a dirty word. We are, after Maastricht, on the slippery slope to what we didn’t vote for i.e. The United States of Europe. When did that happen? Well, over time the Irish Citizen have voted for a little change here, a little change there and now it is past the time to turn back. Still the three major political parties are singing from the same hymn sheet. Vote Yes for Jobs, is still their mantra. Yes, there is now a slight change in the makeup of the Dail. Independents and Sinn Fein have emerged onto the scene but as yet cannot exercise any real power in their arguments. Their time will be another day, somewhat into the future. By then it’ll be too late to undo the wrongs perpetrated on the citizens of Ireland by unscrupulous individuals, both elected but in the main unelected, who have imposed dreadful austerity on the citizen in pursuit of their own selfish agenda. On Thursday the Citizen has the opportunity to Vote. That is their right. But is it just an exercise in democracy for the sake of it, or is it an opportunity to try to stop the runaway train which is delivering us to a destination that we know not where? The United States of Europe is upon us. It will be a brave man or woman who stands on the line to try to stop this train. Sadly, it appears we cannot stop this train regardless of where it’s true destination lies. As I’ve stated in a previous Blog, I encourage all citizens to exercise their right to vote. Sadly it may be the only chance you have for some time as in the last General Election the citizen voted for change which has clearly been denied them. The present Fine Gael/Labour Coalition has continued to implement the same policies as Fianna Fail despite the citizens mainly anti-Fianna Fail Vote. I believe it was not a vote for Fine Gael and Labour but primarily anti-Fianna Fail , a point which seems to be lost on current Government politicians. The importance of steering us into the United States of Europe now takes on a greater urgency as to slow the process now would only allow the Irish Citizen to say No, enough is enough. Now, you couldn’t have the Citizen daring to change direction, could you? No, clearly that would be disastrous to the bankers whose interests we are now told, come first. Bail out the banks, not the citizens. That way you keep the citizen powerless in this New Europe. Irish citizens have lost their individual identity. They are now only citizens of a country called Europe.